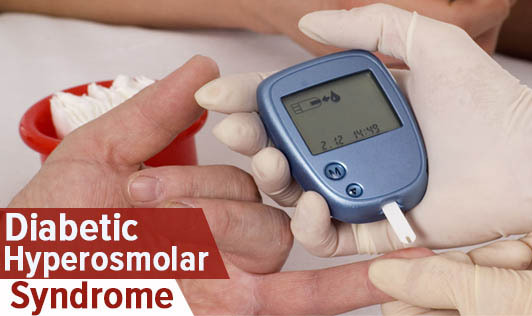 Diabetic Hyperosmolar syndrome (DHS) is a serious condition that develops when your blood sugar reaches a very high level making your blood thick and syrupy. This condition usually affects people with type 2 diabetes and may develop in people who haven't yet been diagnosed with diabetes. The excess sugar passes from the blood into the urine, triggering a filtering process that draws a large amount of fluid from your body. This condition is a medical emergency. If you develop symptoms of DHS please contact your doctor immediately!